Super smooth kink resistance tube provided with universal tapered connector. 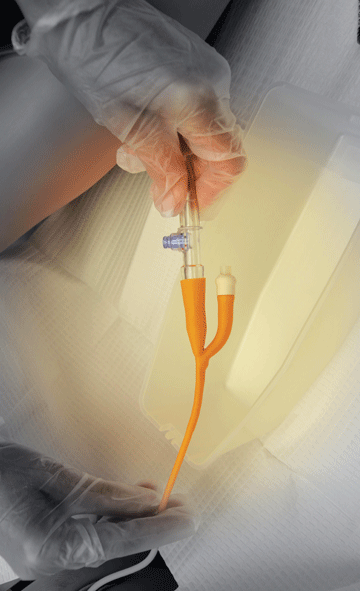 Designed for accurate measurement of hourly urine output during examination of the patient. 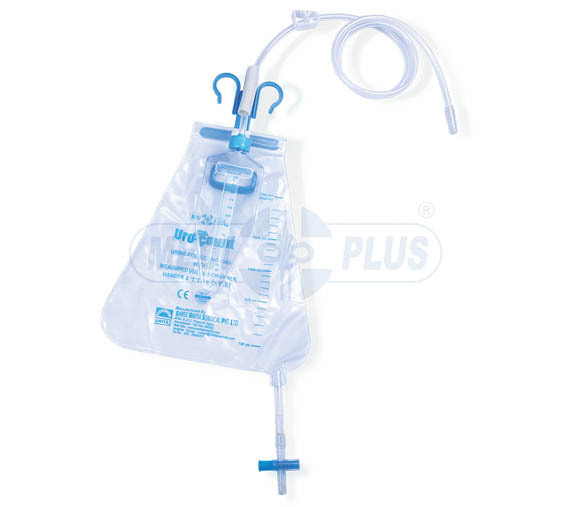 Urine Bag is manufactured from eXtra strong sheeting to withstand during the long period. Specially designed hook facilities for carrying, handling and holding the tube in upright position. Urine bag attached directly with measured volume meter ensures auto over flow and convenience to empty the measured volume meter in the bag. Completely closed circuit eliminates the risk of contamination. With "T” Type Bottom Outlet. Chamber Size : 250mI., 500mI. Tube Length : 100cm, 120cm, 150cm. With or Without Sampling Port.